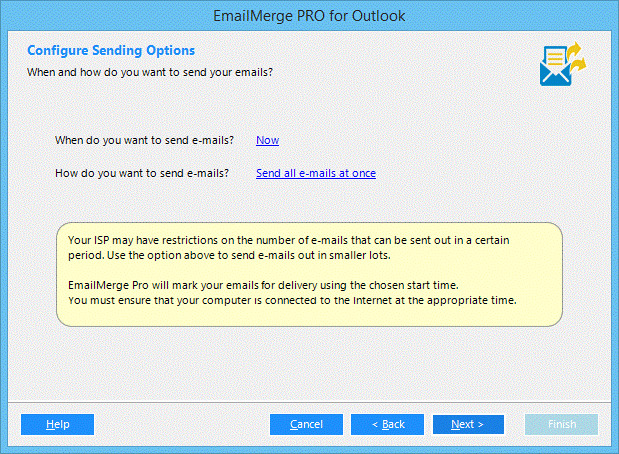 Use Microsoft ® Outlook ® to Create Personalized Invitations and Greetings - In 5 Minutes or Less! You only need to know how to click ONE Button. 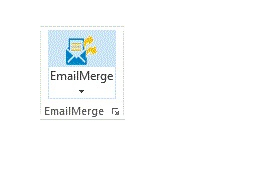 EmailMerge is very easy to use and will take you step-by-step through anything else that you need to do. 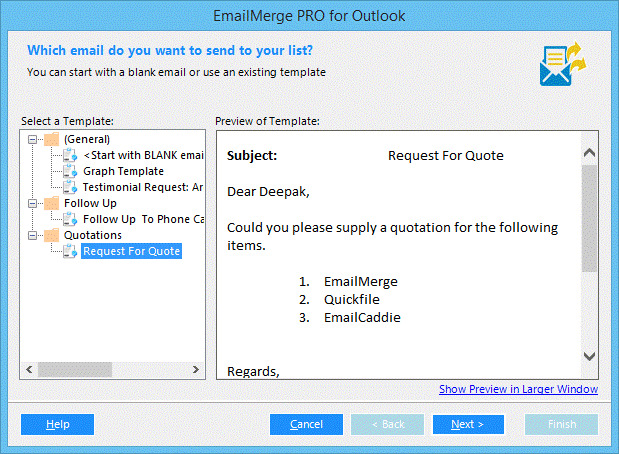 Which Email do you want to Send to Your List? 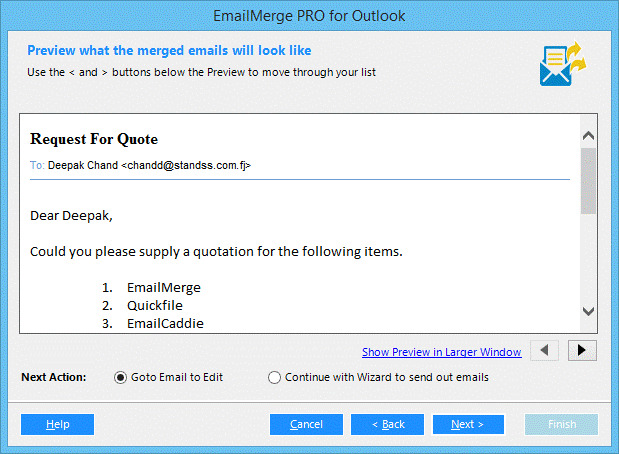 You can choose whether to start your EmailMerge process with a Blank email or select an Email template (pre-set email) you created. 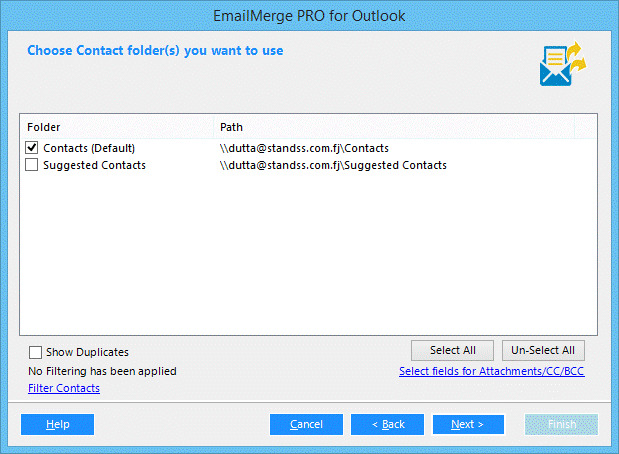 EmailMerge provides you with 7 choices from where you can select your contacts from both inside Outlook and external files. 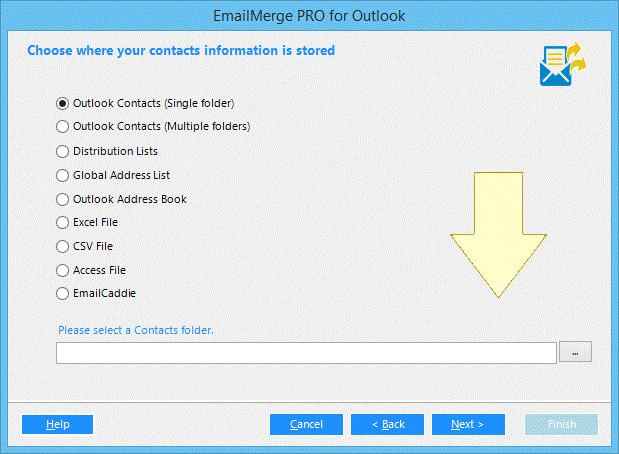 This step allows you to select specific Folders/Lists/Sheets/Tables from where you want to load the contacts from. Depending on your choice in the previous step, the below screen will change. Select (tick) the people to whom you want to send this email. 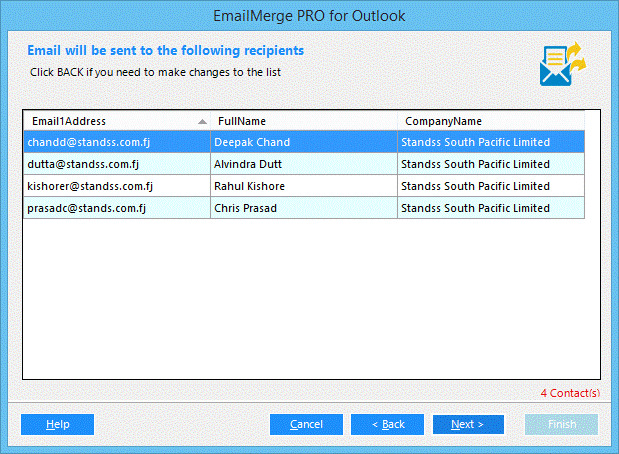 EmailMerge will display a list of all contacts you had selected to be added to your current sending list. You can verify and confirm your list here. 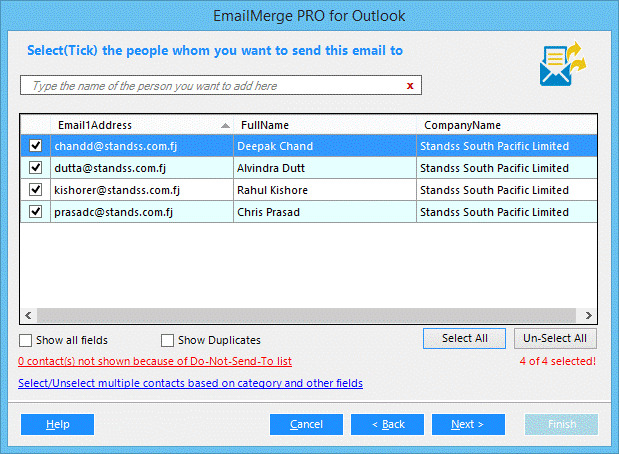 What if some Contact information is missing? 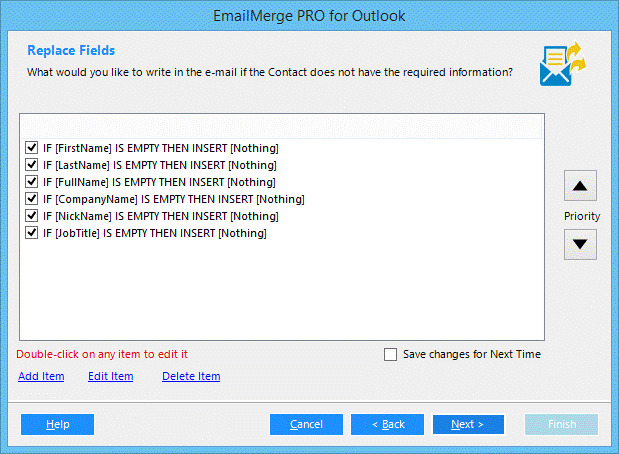 Here you can define rules for how to EmailMerge as Outlook handles missing contact fields. 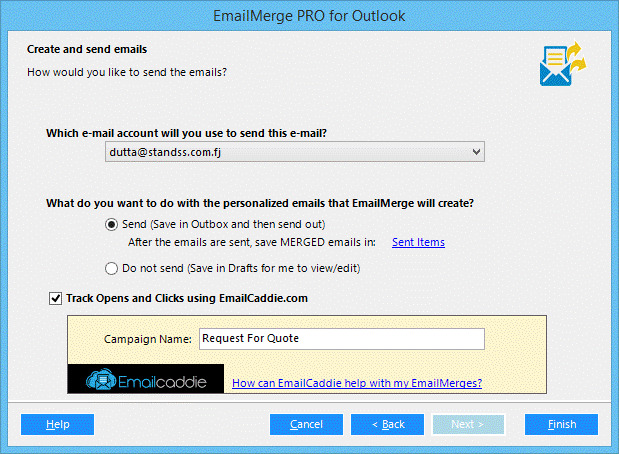 When and how do you want to send your emails?